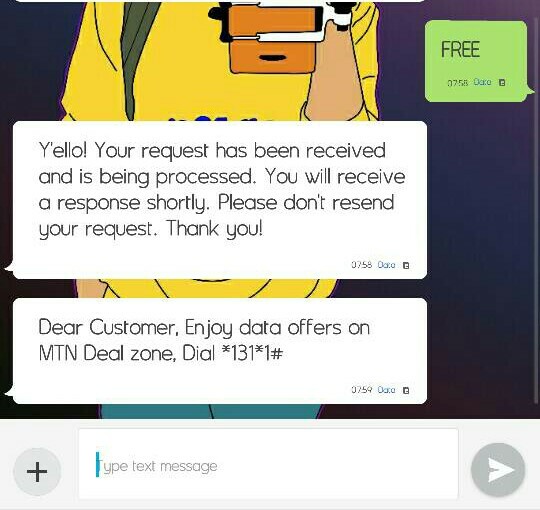 it has been a long time now that all MTN subscribers have enjoy MTN double data offer on their Smartphones, here today all MTN Subscriber should be very happy because there's a new MTN 100% data bonus offer they can easily enjoy on their sim without tweaking. The new MTN 100% Double Data Offer am Talking about is very simple to activate on any Phone, so here today am going to unveil how you can easily enjoy this data bonus on your Sim card. This Data bonus works on all Android, iOS, Windows Phones, and PC. How Can I Activate and Enjoy MTN 100% Double Data? 1. Yello, your request has been received and is being processed. you will receive a response shortly. pls, don't resend your request.